It is claimed that art is the most potent form of emotional communication. An example is to observe paintings or photographs of bright, open landscapes that often evoke a feeling of beauty, relaxation or happiness. Similarly, visual images that are dark and/or obscure typically elicit emotions of anxiety and fear. 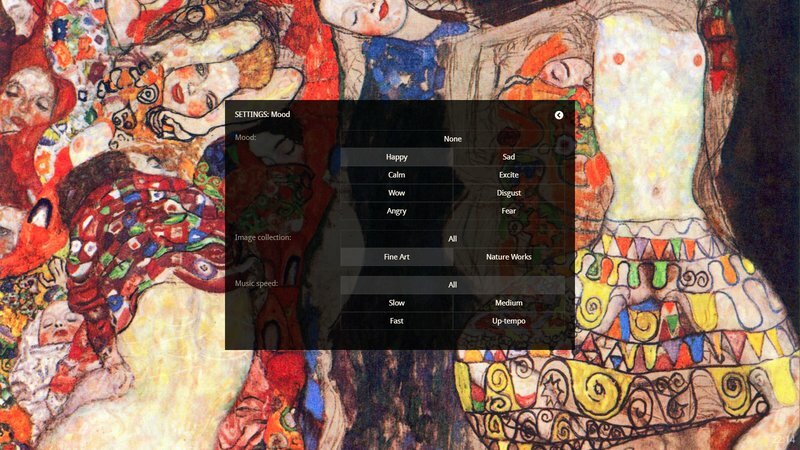 Totally unique and groundbreaking, ArtPlayer can display artworks and nature pictures based on your selected mood setting: Happy, Sad, Calm, Excited, Awed, Disgusted, Angry or Afraid. The mood selection is done using image recognition technology based on artificial intelligence and machine learning algorithms analyzing brightness, contrast, edges, color, texture, layout, shape etc. The background music will also adapt to the emotional expression of the images and thus reinforce the chosen mood. ArtPlayer mood control can be used to edutainment in museums and libraries or to generate an appropriate ambience in locations such as hotels and restaurants, but also for improving work environment in companies as well as patient surroundings in hospitals and nursing homes. A survey confirms the results conducted by the Business Committee for the Arts and the International Association of Professional Art Advisors of more than 800 employees of 32 companies that displayed art in the workplace, 94 percent of respondents agreed that art enhanced the work environment; 78 percent said that it contributed to reduced stress; 64 percent saw increased creativity and productivity; and 67 percent said that it enhanced morale. These statistics demonstrate the potential return on investment concerning corporate art and visual design. When designing art and interior solutions, companies should keep in mind the psychological properties of colors that can affect behavior. 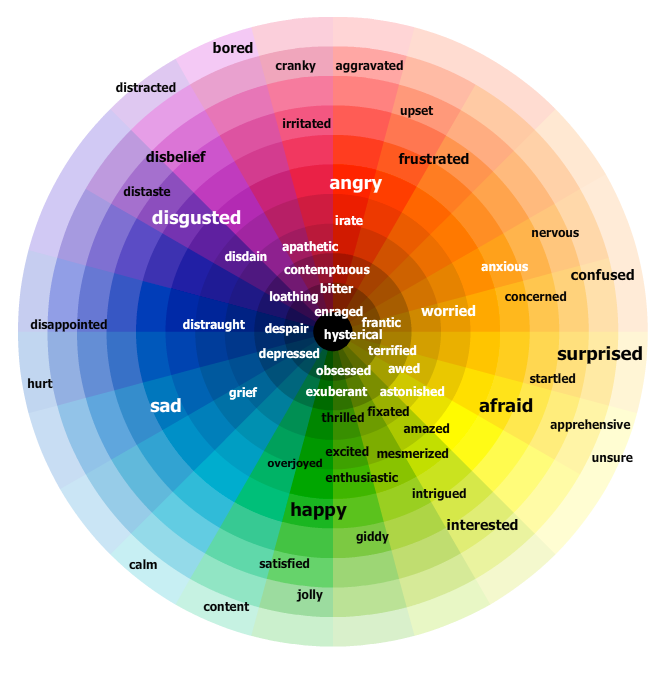 Specific colors can evoke similar emotional and behavioral responses in people. Research from the University of Colombia, for example, shows that blue and green make employees feel calm and relaxed, which can positively impact productivity. The retail sector, meanwhile, benefits from a more excited and adventurous approach to color. Most colors work well in retail spaces except for blue or grey; colors that stimulate a cautious attitude and might inhibit customers to spend their money. As a decoration and mood regulation tool for the healthcare industry or even digital medicine for patient therapy and healing, ArtPlayer is evidence-based designed for positive distraction by creating calm or joy through meditative and trance-like static or moving art. Also, the study points out that regular TV programs are “identified as an "ineffective" distraction and that TV as a source of explicit distraction did not lead to shorter perceived wait times, in fact, people viewing TV perceived the wait time as longer. The literature also established that time-bound distractions (like TV) can inversely impact the perception of wait time since they are episodic and allow a measure of time”. It also has a beneficial effect for patients when there is art in the hospital, a research project from Aalborg University shows. A painting on the wall gives peace and desire to talk to other patients. In recent years, there’s also been increasing recognition of the power of art for boosting the well-being, happiness and engagement of people with dementia. Researchers have found out that art allows people to tap into their imagination. In addition, a research team discovered that when art was displayed in care homes, it acted not only as a vehicle for hope and a catalyst for engagement, it also encouraged residents to offer their own critiques.